We are a hotel and hospitality property management company that develops and executes strategies to optimize hotel value and investment returns. We specialize in working with owners and investors of small and medium size hotel properties and banks and receivers with distressed properties. Through in-depth analysis, superior business planning, workable and practical implementation strategies, and close monitoring businesses, our turn-around work has resulted in multiple successful sales of under-achieving, distressed or receivership properties. Inntimate Inns also proudly manages properties that, upon take-over, were under-achieving and inefficient. They now produce excellent revenue and superior profit. Our team offers the skills that can advise in franchise branding, market and economic feasibility, intelligent revenue management, internal business controls, savvy sales and marketing, skilled operations, online presence, and social marketing strategies. Inntimate Inns works with our clients in up-grading their business, providing tools and strategies, human resources and training for the betterment of their business. We believe that, by providing consistent quality products and services, this will result in gaining positive awareness, customer retention, and increased revenue with the traveling public. We believe the 'Intimate Guest Experience' builds guest loyalty and is a viable and profitable benchmark for success; no matter what size the property. Our mission is to always create and preserve the perfect intimate hospitality guest accommodation, whether small, medium, or large, new, vintage, or historic, hotel or hospitality business. Inntimate Inns Ltd. provides Hospitality Solutions for Operations, Sales & Marketing, Revenue Management, Asset Management and Temporary Management to Small and Medium Sized Hotels. 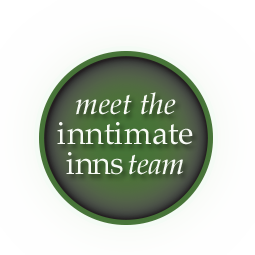 Inntimate Inns is a team of business professionals with in-depth knowledge of all things hospitality. We specialize in turning small to medium sized hotels, RV Parks, and Apartments and Condos into thriving properties.